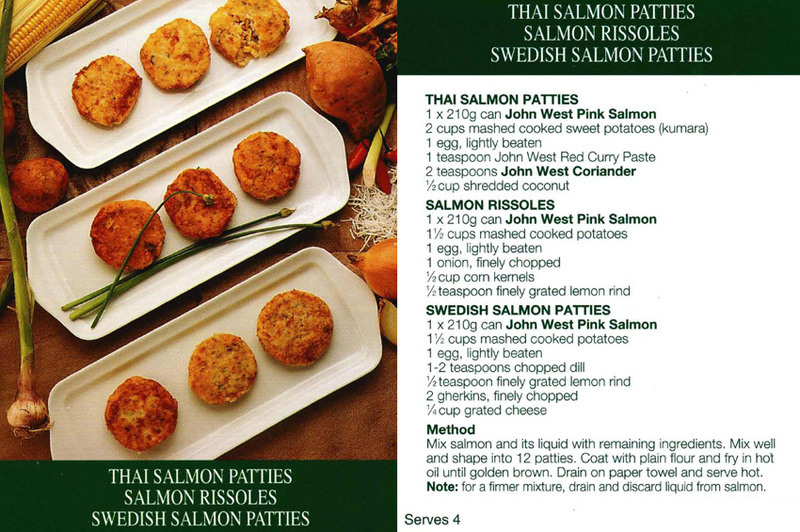 As a child I loved going to stay at my Auntie Elsie’s as she would always make salmon patties for me, I loved them. I’ve never managed to make any as good as hers and they certainly weren’t as fancy as these ones that John West published years later. The closest here is the Australian version minus the corn or lemon.